Some Los Angeles and Southern California business owners and entrepreneurs have been through the process of an organizational turnaround. This topic is especially relevant right now as both the national and California economies begin to finally show some signs of life more than five years after the end (at least technically) of the Great Recession. In this environment, some companies that have been struggling to hang on are finally in a position where they can see some light at the end of the turnaround tunnel. This makes now a critical time for such companies, as economic conditions are more favorable to a turnaround currently than perhaps at any time since before the recession took hold. § The company is likely burning cash at a rapid rate. § Solutions need to be put into place that will not further exacerbate the cash flow situation. § Shareholders are probably anxious for a rapid turnaround. § Turnaround solutions that save money in the long run can cost valuable cash in the short run. § Immediate issues that must be addressed in the turnaround can result in a lack of long-term vision and the failure to set long-term business objectives. § Changes that are necessary for long-term organizational success can be disruptive in the short term. § The cash savings realized as a result of the turnaround efforts often are not immediate — and sometimes these efforts can cost money initially, like in the case of employee reductions. § Third-party vendors may not have been thoroughly examined to insure that they are providing the highest value for the organization. § Bringing in third-party service providers that can perform services at a lower cost with more flexibility. § Examining the organization’s current vendor/partner relationships to make sure that they are providing the most “value-add” to the organization. § Working with external investors to raise additional funds, whether debt, equity or both. § Articulating (along with the CEO) the operational and financial vision of the company to employees and other stakeholders in the company, including customers, vendors and shareholders. § Investment capital is raised so the organization has the necessary cash to meet strategic objectives. § Third-party service providers have been reviewed and the most efficient solutions put it place. § There is a clear direct linkage between the operational goals and financial priorities of the organization. § Managers can work on their managerial priorities free from concerns about organizational continuity. In the current economic environment, some companies that have been struggling to hang on since the recession are finally in a position where they can see some light at the end of the turnaround tunnel. But this doesn’t mean that successfully completing an organizational turnaround will be easy. 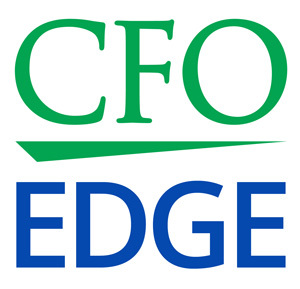 An outsourced CFO services provider can offer valuable assistance to companies that are attempting to complete an organizational turnaround by offering the appropriate level of guidance and analysis to demonstrate the long-term benefits and cost savings of taking the right turnaround actions at the right time.